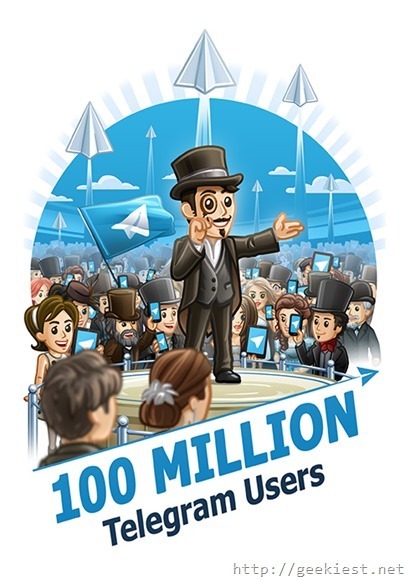 Telegram one of the famous messenger available in multiple platforms claims they have crossed a milestone of 100 million monthly active users. earlier we have posted about WhatsApp and Gmail, who crossed 1 billion active users, WhatsApp and Gmail crossed 1 billion accounts. Telegram was launched 30 months back, now the application is available for the Android, iPhone, iPad, and Windows phone mobile devices. You can also install a Windows application for your PC and/or use the web version of the service from any device. Unlike many other messengers this service allows you to send documents of any kind, allows you to store your media in cloud and also allows you to create self destructive messages which will get deleted after a specific time. 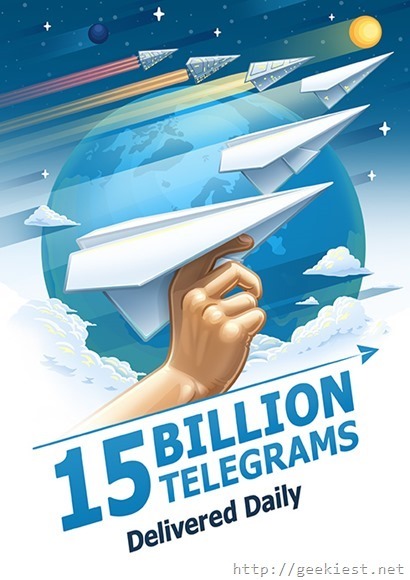 Telegram also claims that they are delivering more than 15 billion messages daily.